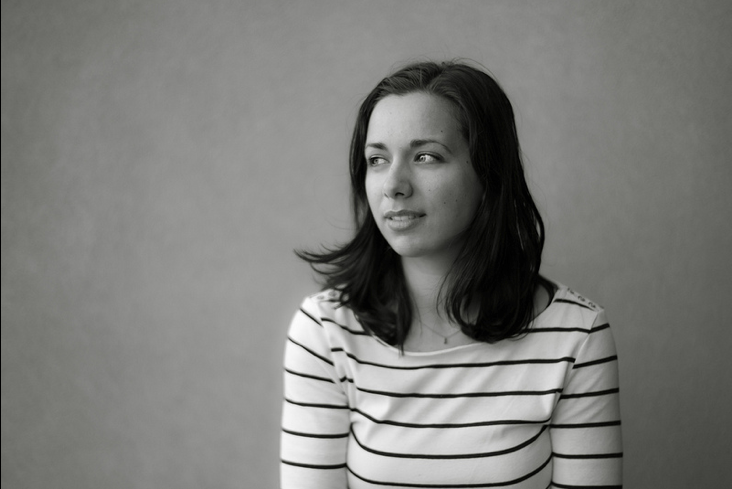 Hi, I’m Jen Curcio, a Melbourne foodie, copywriter and writer currently living in Hannover, Germany. I’ve inherited my love of food from my Italian parents: their home cooking, organic gardening, making wine and salami, curing meats and vegetables, designing beautiful feasts…the list goes on. Originally, I was working the Decisive Cravings (DC) concept into a manuscript (circa 2005) to help the food passionate like me find exactly the kind of delicious food they were craving no matter the hour, hence the name Decisive Cravings. With how rapidly the food scene started moving I realised that a digital medium would be the best way to keep all information up-to-date and be environmentally friendly – so here we are. DC has truly evolved, it is a curated hub for foodies, travellers and the lifestyle passionate to help them to find the food, and experiences they’re craving. Over time as I have started following (unintentionally) my parents cooking habits and practices, DC’s content in turn has followed suit. Think simple, healthy and tasty recipes, gifts, food stores and cook books, experiences for travelling foodies and discovering foodies doing amazing things. Despite being global in our approach, DC still very much has a Melbourne focus. Since I am now based in Europe, DC is lucky to have some very special foodie contributors on the ground in Melbourne (see CONTRIBUTORS section below). Apart from taking food photos, writing and cooking, I enjoy reading, keeping fit, bird watching, wild flowers, Instagram (@jen_curcio) and learning to surf. I am particularly passionate about social good, sustainability and community, as well as supporting local businesses. These elements have fused together as the focus of our recently released food guide, Melbourne for Conscious Foodies. 25% of the profits from each guide sold will be donated back to a local Melbourne cause. You can shop the guides, as well as our limited edition Conscious Tote Bags at our online store. To chat about advertising, collaborations, contributing to DC, or just a ‘hello’ please drop me a line at: info@decisivecravings.com.au. Thanks so much for reading and supporting DC! Alisia is most happy wandering the aisles of markets and food stores, no matter how many times she’s roamed them before. She is known to go to bed with her cookbooks and loses hours searching restaurant menus online for inspiration. Alisia doesn’t think twice about spending an entire days in the kitchen creating wholesome dishes with seasonal produce, often from her parents country property. He doesn’t know it yet but one of her best friends is Yotam Ottolenghi. Most of all, she gets much pleasure from enjoying the fruits of her labours alongside a glass of wine with family and friends. So true is this that Alisia and her mum, Rosi, are the force behind La Crostoleria, Melbourne’s first handmade artisan crostoli. Of Italian background, it’s no surprise that food and more importantly, enjoyment of it, is in her blood. In her professional life, Alisia is committed to public service and the promotion of education. She works as Manager Projects & Partnerships at La Trobe University – an institution that is proud of providing accessible educational opportunities to students, many of who are first in family to go to university. She also sits on the board of International Specialised Skills, a not-for-profit organisation that provides fellowships to skilled tradespeople and artisans. In her spare time, she walks with friends, does cross stitch and takes commissions for elaborate birthday cakes from her niece and nephew. Read Alisia’s Myanmar Food Mini Guide here. Having travelled the world from a young age with exposure to a wide range of cuisines, being a foodie was always going to be part of Amy’s future. 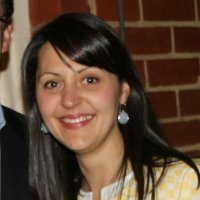 Born in England, Amy has lived in Jeddah (Saudi Arabia), London, Auckland, Sydney, and Melbourne where she has resided for the past 15 years. 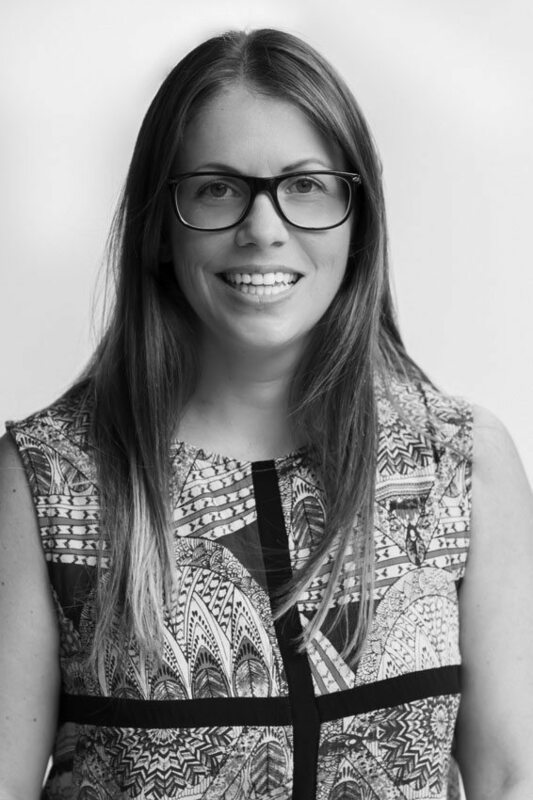 A digital marketing consultant by day (who often works from and holds meetings in Melbourne cafes), Amy likes to have her finger on the food pulse. She’s the person her friends call for restaurant recommendations, and she’s always got a long list to get to herself! 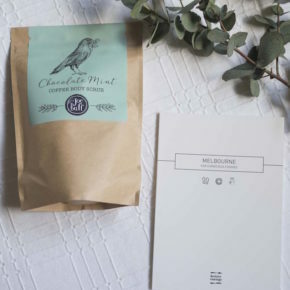 As a freelance writer for Decisive Cravings, Amy is satisfying both her need to document every meal she consumes as well as experiencing some of Melbourne’s hidden secrets. Her favourite cuisine is Japanese (although she’s yet to visit Japan!) 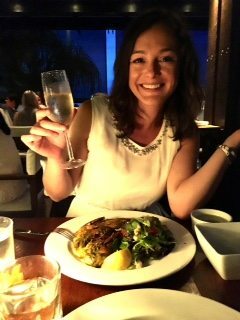 swiftly followed by Thai, Mexican, Turkish, Sri Lankan, Italian and Spanish (in no particular order) so it’s no surprise that the top of her food wish list is raw fish (she counts avocado, tomatoes, coconut, very dark chocolate, eggplant, mangoes, haloumi, raspberries and figs in her top ten). An avid cook who loves to try a new recipe at least once a week, Amy is also passionate about health and wellness, travel, the beach, being an aunty, social media, taking photos and writing. Read Amy’s Springvale Gourmet Food Guide here. Amelia’s love of food comes from her family. Her great grandfather and great uncle ran one of Melbourne’s first Italian restaurants, the Latin, and she grew up cooking at home with her mother and grandmother. At school she studied Food and Technology and VET Hospitality where she cemented her love of baking, desserts and all things sweet. 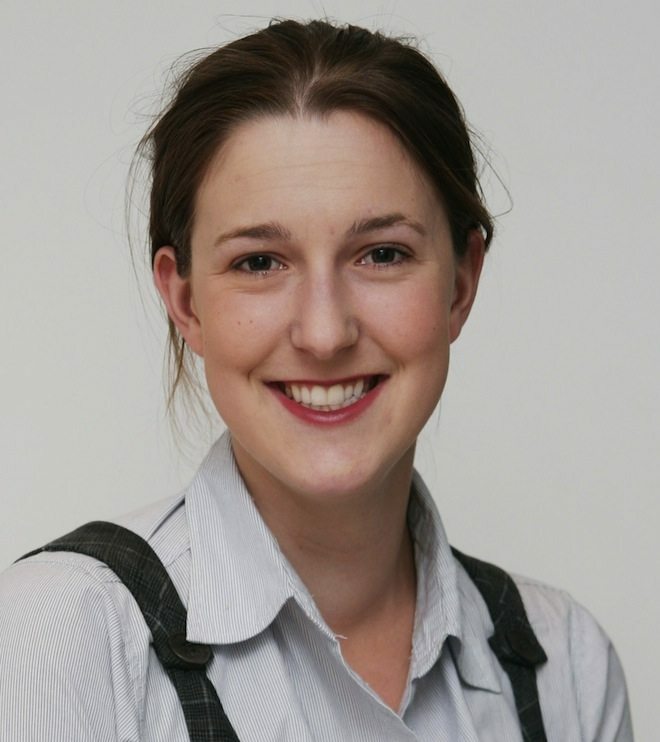 Amelia spent almost seven years working at the Herald Sun where she covered the police and transport rounds as well as working as a general news reporter. She was also seconded to the Wall Street Journal and New York Post where she lived the dream eating and working in her favourite city. She now works in public affairs and lives in Melbourne’s inner east in an apartment with a tiny kitchen. Read Amelia’s mini guide to food in New York here. Following the aroma of a well roasted coffee, Naomi moved to Melbourne from Sydney where she has made it her business to try every new restaurant, café and bar that opens. In between this exhausting work, she acts as a Consultant in Human Resources. Fortunate to have travelled extensively, Naomi has attended cooking classes around the world including in China, Turkey, Spain, Cambodia, Vietnam, Italy, and Laos. She was also given the opportunity to spend two weeks under tutelage at the Cordon Bleu in Paris where she mastered the art of sauce and stock making. Always searching for a new taste to titillate the tastebuds, Naomi loves the unusual and counts fried grasshoppers and roasted alpaca amongst the most interesting to date. Due to a lamentable intolerance to fructose, dessert is off the menu so to satisfy her dinner guests Naomi has started to make her own cheeses at home. If you find Naomi perched on a barstool with an espresso in one hand and a prosecco on the table, be sure to say hi and share your strangest food experience!